Popular reality show Bigg Boss season 11, has been very entertaining so far because of many contestants like Arshi Khan, Shilpa Shinde, Akash Dadlani, Hina Khan among others. But th most enetertaining of them all is Arshi Khan. Arshi, with the help of her way of dealing with people entertains the audience as well as the contestants of the house. The most entertaining scene in the house happens between Arshi and Hiten when the former tries to hit on him even after knowing that he is married. And yet again they both will prove that they are the most entertaining jodi in the house. It will all happen when Bigg Boss will introduce a luxury budget task in the house in which the house will be ruled by the women in the house. What is going to happen inside the house is that Bigg Boss will introduce a task in which the men of the house will have to listen to whatever the women in the house will ask them to do. In the task, Hina will make Puneesh Sharma and Luv Tyagi wear saree along with dupatta on the head. But the task a funny turn when Arshi will flirtingly ask Vikas Gupta and Hiten to rub lotion on her. Not only this she will also ask both of them to jump in the pool to impress her. In the same task, every women will be assigned on or two assistants who will do whatever the girls will ask them to do. 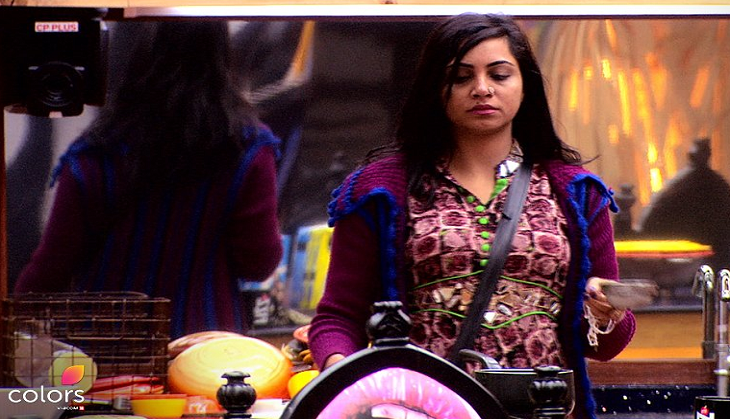 Puneesh and Luv will also be given a makeover by Hina in the same task. It will be interesting to see if the contestants will be able to complete this task or not. ALSO READ: Bigg Boss 11: Here is what Arshi Khan's Pune and Goa 'kaand' is all about?